Mr. James Bell Service Details - Belleville, Illinois | Serenity Memorial Chapel LLC. Mr. James Bell leaves to cherish: his loving wife of 37 years~ Alma Bell of Belleville, Illinois; three brothers-in-law ~ James Williams of Belleville Illinois, Albert Williams of St. Louis, Missouri and John Williams, Sr. (Josephine) of Holandale, MIssissippi; two sisters-in-law ~ Katie Williams of Wichita, Kansas and Thelma Williams of Omaha, Nebraska; three sons ~ James Bell, Jr. (deceased), Jerry Williams (Darlene) and Terrance Williams, both of Belleville, Illinois; daughters ~ Martha Hollis (Melvin) of Georgia, Jacqueline Williams of Belleville, Illinois and Valisa Fort of O’Fallon, Illinois; grandchildren ~ Sheronta Johnson, Liberty Bell, Jemyla Bell, Cierra Johnson, Erica Bell, Bria Hollis, Demeshai Cooks (Melvin), Edward Johnson, Jr. (Sydney), Ronnika Harrell, Denesha Swift, Weston Hollis and Ronnita Harrell; and 15 great-grandchildren. To send flowers to the family of Mr. James Bell, please visit our Heartfelt Sympathies Store. Additional Information	Location to be determined. 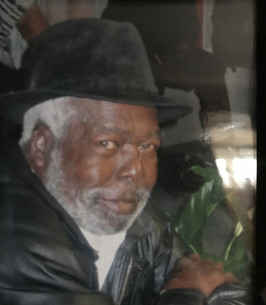 We encourage you to share any memorable photos or stories about Mr. James. All tributes placed on and purchased through this memorial website will remain on in perpetuity for future generations. I would like to express my heartfelt sympathy on the loss of your loved one. May the fond memories shared with Mr. James Bell and the resurrection hope Jesus spoke of in the Bible at John 5:28, 29 be a source of comfort during this time of grief and pain. I am so sorry for your loss My condolences and prayers are with the family. I am a friend of Martha in Warner Robins, Ga. The passing of a dear loved one is a difficult experience for family members. Sorry for your loss. It is through the privilege of prayer, that a bereaved family can experience God's love and comfort in the most intimate way. May the family find comfort through prayerful reliance on Jehovah, the God and Father of our Lord Jesus Christ. He is the hearer of prayer and the God of all comfort, who comforts us in all our trials. 2 Corinthians 1:3, 4; Psalms 65:2.